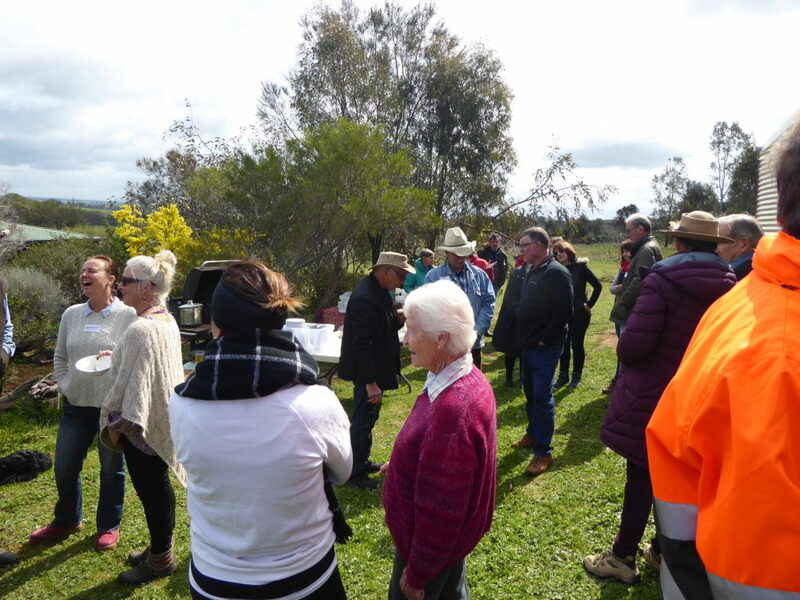 On 9 September 2018 about forty people gathered on a beautiful property in Baringhup to learn about Birds on Farms. 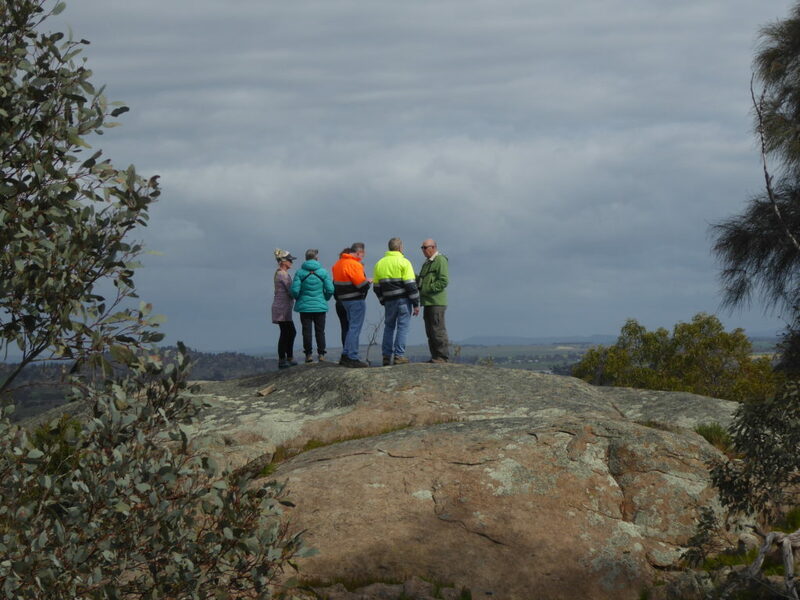 The day was a joint workshop by Connecting Country and Baringhup Landcare, and the participants ranged from Connecting Country regular workshop enthusiasts, bird survey volunteers, farmers from in and around the Baringhup area and Landcare members. 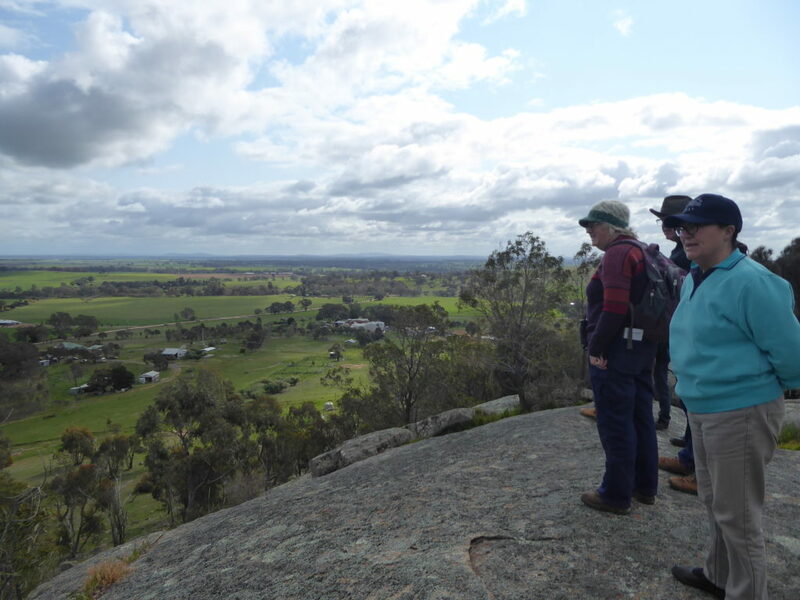 Two bird surveys were conducted down on the bird survey area. Curiously each survey recorded 13 birds, though each time the species composition was different! The surveys may be seen here and here. A few new species were recorded on the day – including the Grey Fantail. Many thanks to Roy and Caroline Lovel for being such wonderful hosts, and all the many helpers on the day, especially Jackie Brown who helped Roy wash up all the bowls and cups! Attendee Liz Burns wrote this wonderful summary of the day. Thanks Liz! 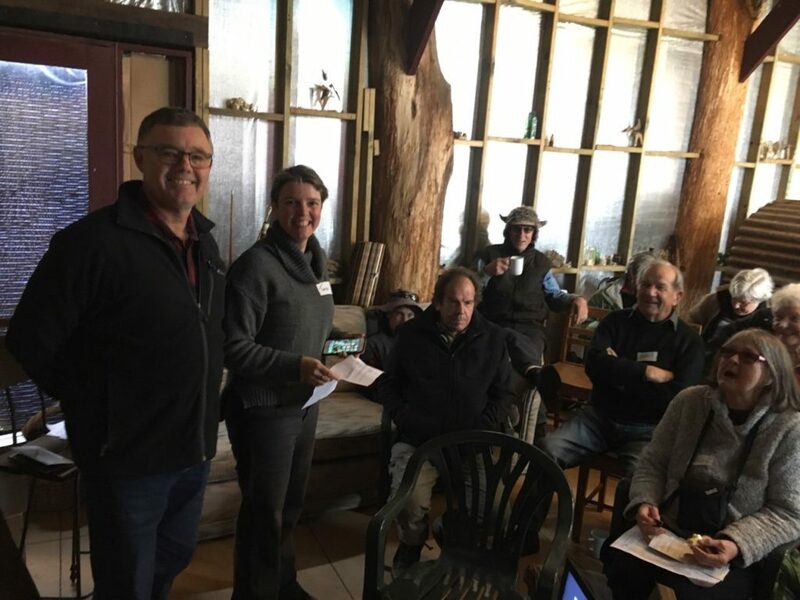 As a long-term attender of Connecting Country’s field days, it was a pleasure to take up Tanya’s request for someone to write up today’s events. In fact, I could write a book with all the detailed notes that I’ve taken over the years. As usual, this one hit the mark and maintained the usual high standard. As a full-time biological farmer who relies upon our native birds for pest control and even some pollination services, and a keen lifelong observer of all the complex relationships in nature, this is a subject dear to my heart. It was even more heartening to meet other like-minded farmers with the added bonus of passionate protectors of very old trees. 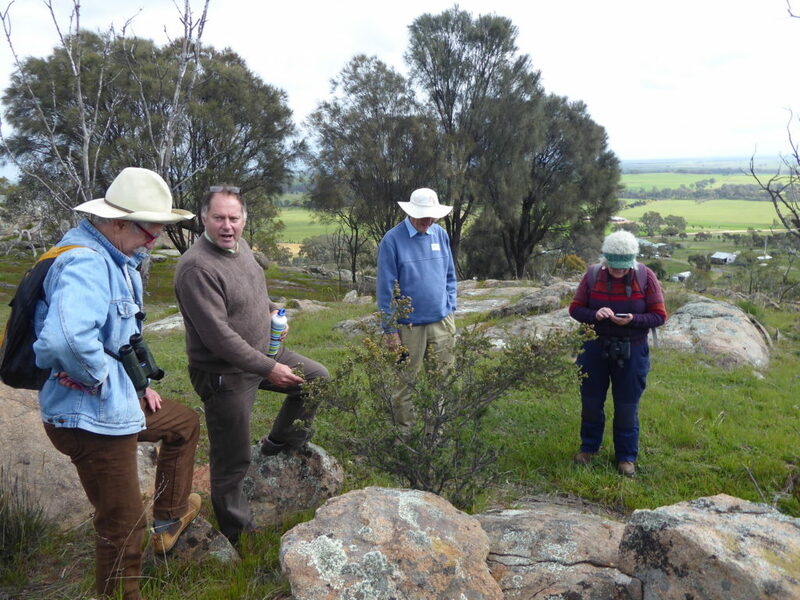 After lunch we did separate farm and birds walks: Roy led a group up to the top of the property, and Tanya and Chris conducted a bird survey on a lower restoration area. 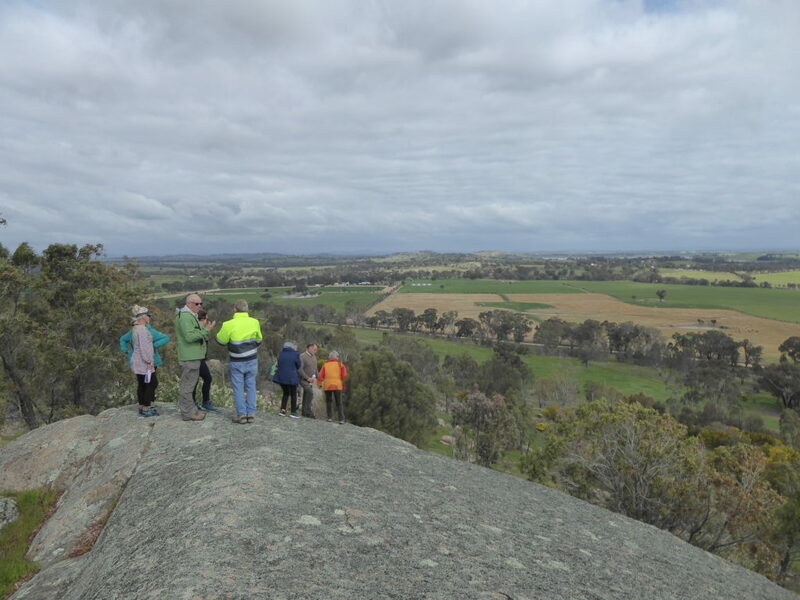 I would like to see the Connecting Country model rolled out across the State, as the best value for money blending of agriculture, environment and Indigenous history, especially as 70% of the State is in private hands and the State does not manage Crown Land very well (in my opinion). 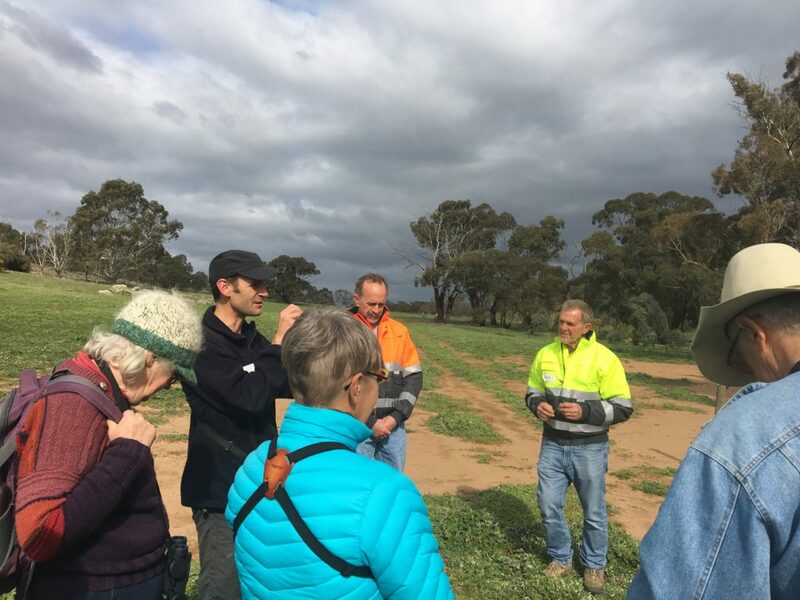 If farmers could be helped with managing their land, incorporating environmental and cultural values, we could maximise biodiversity and future food production with a three-way partnership with farmers, environmentalists and Traditional owners. As usual, the catering, the company and weather was of the highest standard. Grateful thanks must go to Connecting Country and all involved, but in particular Tanya Loos for yet another fascinating and informative day. Please scroll through the following gallery of photos from the day. Thanks Tanya. The workshop was a great success. I suspect all participants left with a few more items on their to do list. This included organise bird monitoring, improve corridors, ensure bird water is permanent, create habitat rather than bird boxes, better management of regeneration to support old trees and work towards initiative supporting habitat on private land.